At Stoughton Lumber, you will find a great selection of quality Ace Brand products, plus you can shop Ace Hardware online and ship to the store for free! 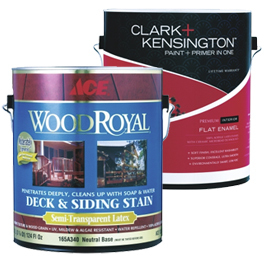 As your local Ace Hardware, we offer a wide variety of paint, lawn and garden, tools, business supplies and virtually anything you'll ever need to fix, repair and maintain your home or business. And of course, Ace is the place with the helpful hardware folks! Don't forget to check out acehardware.com for tips and advice on home improvement projects and more. We have a knowledgeable staff that takes pride in answering your questions and helping you locate quality products to serve your needs. We have over 25,000 items in stock, and a distribution center with an additional 30,000. We can special order from over 400 manufacturers and vendors who do business with us.